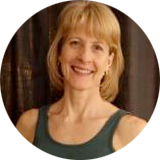 Julia Grady is an energetic person, who has a passion for group instruction and personal training. She seeks to contribute to the top-tier fitness that is at Barefoot Tiger through the application of strong management, fitness and customer service skills. Julia really prides herself in designing alternatives to accommodate different fitness levels and limitations of her clients, and will bring her energetic attitude to every session. National Academy of Sports Medicine certified personal trainer (CPT- NASM), SPIN SCHWINN certified, TRX Specialist, Revolution in Motion certified, and Working toward NASM CEX and BalletOne certifications. Personal Training: TRX, Balance and Core training, Postural Correction, Myofascial release and realignment. So many people, past and present. I think the one common thread I can draw through all is that they have a deep connection with all of life. A connection that drives them to ‘do good works’ and leave behind a better world for those that follow. First and foremost, a sense of humor – emotional intelligence, integrity, caring, honesty and a profound ‘joie de vivre’! A wolf! Alpha of course…I have been fascinated with them since I was a young girl. They are so regal, intelligent, social, loving amongst the pack. And they move so beautifully! Constantly questioning the status quo.